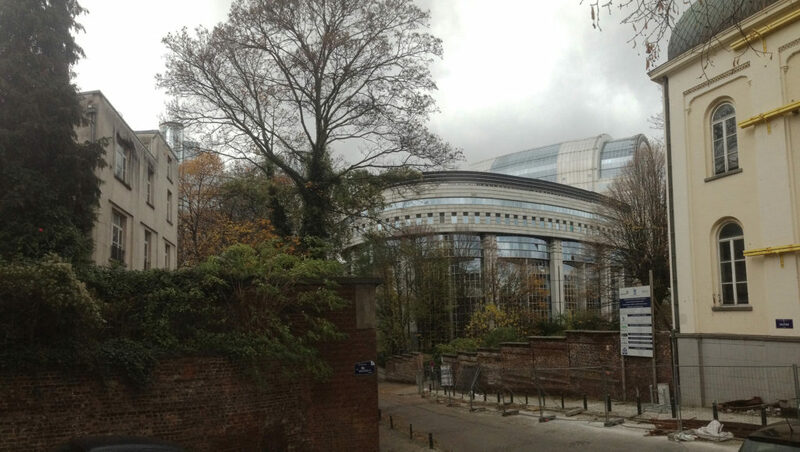 On the occasion of the redeployment of its activities during the renovation of the ‘Caprice des Dieux', the European Parliament is casting its net in the direction of the Park and House of Antoine Wiertz, next to the museum of the same name. A fantastic and surrealist painter before his time, Wiertz set up his residence here in 1850. In his will, he bequeathed all his paintings to the Belgian state on the condition that his art studio remains open to the public free of charge and that his house welcomes artists to stay. Henri Conscience, the Flemish Victor Hugo, died in that house in 1883. The young Auguste Rodin did his first works of art in one of the numerous studios near to the great master. Today lots of studios are being torn down to make way for offices. The Wiertz Museum and its listed park have become the last defence against the huge pressure exerted by the European Parliament on the whole neighbourhood around chaussée de Wavre and the Leopold Park. The house and park have been neglected by indolent local governments and now they have fallen under the lustful gaze of their insatiable neighbour. While the poor ‘Caprice des Dieux' tries to get back some of its beauty, the house of the painter and its garden would become the playground of dignitaries and their guests. In our current age, the security measures that are happily applied to more European Institutions will have unacceptably negative consequences on the Wiertz Museum and on what has been preserved of a public space and urban diversity in this neighbourhood. With the grandiose return of facadism, recently acknowledged by the installation of the 'House of European History' in the old Eastman Institute (Leopold Park), can we also expect to see the construction of 3 additional floors on the house of the painter of which only the facades will have been preserved? We are the people who still live in this town and in who this town lives. We are lovers of Brussels heritage, people who use cultural centres, actors of the local economy or Sunday walkers. We want the remaining public space and the museum to stay open to everyone. We ask the Belgian and Brussels authorities to stop the proliferation of the administration and its associated security measures from affecting the Leopold Park and its neighbourhood. We are opposed to the threat to the Wiertz Museum and its associated buildings by the European administration. Instead of selling it to the European Parliament (for 1 symbolic Euro), we ask the Belgian state to honour the memory and will of Antoine Wiertz by opening his house to the artists again and by ensuring that the museum is better promoted and more accessible.